Long-term preservation of digital artifacts is a quite young discipline in computer science whose relevance is rising constantly. Most approaches to long-term preservation rely either on the migration of the digital artifacts or on the emulation of their rendering environment. The popular migration approach is used to archive simple or automatically transformable document formats like texts and pictures. Within recent years, acceptance of the emulation approach has grown significantly. It appears to be particularly well suited for archiving complex digital objects, which highly depend on the rendering environment they have been designed for. This includes complex databases, entire applications, and even graphical, real-time computer games. 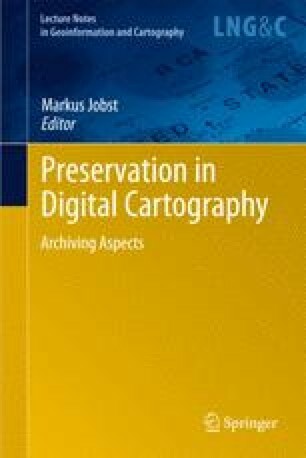 This article gives an overview of both approaches and explores their suitability for the long-term preservation of geo-data in particular.